Currently, the capability of identification for Acinetobacter species using MALDI-TOF MS still remains unclear in clinical laboratories due to certain elusory phenomena. Thus, we conducted this research to evaluate this technique and reveal the causes of misidentification. Briefly, a total of 788 Acinetobacter strains were collected and confirmed at the species level by 16S rDNA and rpoB sequencing, and subsequently compared to the identification by MALDI-TOF MS using direct smear and bacterial extraction pretreatments. Cluster analysis was performed based on the mass spectra and 16S rDNA to reflect the diversity among different species. Eventually, 19 Acinetobacter species were confirmed, including 6 species unavailable in Biotyper 3.0 database. Another novel species was observed, temporarily named A. corallinus. The accuracy of identification for Acinetobacter species using MALDI-TOF MS was 97.08% (765/788), regardless of which pretreatment was applied. The misidentification only occurred on 3 A. parvus strains and 20 strains of species unavailable in the database. The proportions of strains with identification score ≥ 2.000 using direct smear and bacterial extraction pretreatments were 86.04% (678/788) and 95.43% (752/788), χ2 = 41.336, P < 0.001. The species similar in 16 rDNA were discriminative from the mass spectra, such as A. baumannii & A. junii, A. pittii & A. calcoaceticus, and A. nosocomialis & A. seifertii. Therefore, using MALDI-TOF MS to identify Acinetobacter strains isolated from clinical samples was deemed reliable. Misidentification occurred occasionally due to the insufficiency of the database rather than sample extraction failure. We suggest gene sequencing should be performed when the identification score is under 2.000 even when using bacterial extraction pretreatment. Acinetobacter genus contains more than 50 species. Most of them are extensively distributed in the environment . As we know, several of Acinetobacter species are associated with infectious diseases, including A. baumannii, A. nosocomialis, A. pittii, and A. junii [2, 3]. It is worth noting that different Acinetobacter species are varied from each other in pathogenicity, antibiotic, and sanitizer resistance [4, 5]. Therefore, accurate and efficient identification of Acinetobacter exerts a vital part in diagnosis and treatment. Nevertheless, most phenotypic tests were not capable to differentiate related or uncommon species such as A. calcoaceticus-A. baumannii complex, A. junii, A.haemolyticus, and A.schindleri . MALDI-TOF MS, an advanced technique introduced in recent years, is rapid, exact, and easy to operate for microorganism identification. Owing to its strong potency, a number of microorganisms are easier to be accurately identified compared to phenotype identification . However, some operators considered this technique less capable than phenotypic methods for identifying certain close Acinetobacter species because of these two confusing phenomena: (1) a mass spectrum with a low identification score (< 2.000 or even < 1.700) and (2) more than 1 species identified with high identification scores (≥ 2.000) in one comparison. Therefore, in order to obtain comprehensive data for Acinetobacter identification using MALDI-TOF MS, 788 Acinetobacter strains collected in a Chinese hospital were identified by MALDI-TOF MS using both direct smear and bacterial extraction, and subsequent evaluation after confirmation by gene sequencing. A total of 788 Acinetobacter strains were collected from January 2014 to December 2016 in Beijing Tongren Hospital of Capital Medical University, China. Seven hundred and forty-six of them were isolated from clinical samples; the others were isolated from infected coral samples. All the strains were stored in 30% glycerin brain heart broth at − 80°C and used for all experiments after the second-generation growth on Columbia blood agar base for 24–48 h at 35°C. All the Acinetobacter strains were initially identified by sequencing the 16S rRNA gene . The sequencing was performed by SinoGenoMax Company Limited, Beijing, China. Sequences were compared on EzTaxon-e database (http://www.ezbiocloud.net/identify). If 16S rRNA gene sequencing was unable to discriminate, rpoB gene sequencing was performed subsequently . Sequences of rpoB were compared on the National Center for Biotechnology Information/Basic Local Alignment Search Tool (NCBI/BLAST). Two pretreatment methods were performed before MALDI-TOF MS for each strain in the BSL-2 (biosafety level-2) clinical laboratory: (1) Direct smear: traces of every Acinetobacter strain were smeared homogeneously on spots of stainless steel plates using tips, and 1 μL of formic acid was deposited on the bacterial pellicle until dried, followed by deposition of 1 μL matrix (alpha-cyano-4-hydroxycinnamic acid solution), the process was implemented in BSC-II (biosafety cabinet-II); (2) Bacterial extraction: bacterial extraction was performed according to standard protocols as previously described , and 1 μL of the extract was deposited on the stainless steel plate and dried, followed by deposition of 1 μL of matrix. Calibration was conducted by using the Bacterial Test Standard (Bruker, Billerica, MA, USA) before MALDI-TOF MS identification. Each prepared sample was tested by a Microflex Biotyper MALDI-TOF MS (Bruker, Billerica, MA, USA). Each of the mass spectra, composed of 240 shots, was automatically collected using MALDI Biotyper RTC software (Bruker, Billerica, MA, USA). 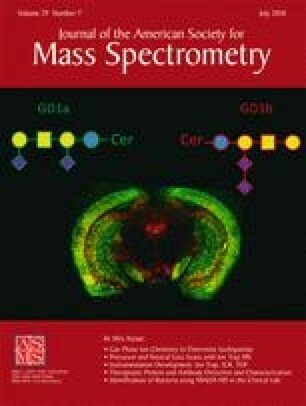 Subsequently, the mass spectra were compared against the Biotyper 3.0 database (Bruker, Billerica, MA, USA). According to the log score identification criteria, originated from the alignment of peaks to the best matching reference data, results with identification scores ≥ 2.300 were referred to highly probable species, results with identification score between 2.000 and 2.300 were referring to highly probable genus and probable species, results with identification score between 1.700 and 2.000 referred to probable genus, and results with identification score < 1.7 were ascribed to nonreliable identifications. In this study, the best matching reference species with highest score was defined as the identification result. Two representative strains of the common Acinetobacter species (each of these species had more than 1 strain) and 1 representative strain of an uncommon Acinetobacter species (each of these species had only 1 strain) were selected for clustering based on two methods to reflect the similarity among different species. (1) MALDI-TOF MS cluster: each prepared extraction sample of the representative strains was dropped onto 12 spots on a stainless steel plate, and tested twice using MALDI Biotyper RTC software to generate at least 20 qualified mass spectra, subsequently composed into one main spectra (MSP). The dendrogram based on the MSPs was constructed using the correlation distance measure with the average linkage algorithm settings of the BioTyper 3.0 software. (2) 16S rRNA gene clustering: MEGA 5.0 was used to build dendrogram of 16S rRNA genes according to the reference . Statistical analysis was undertaken with SPSS 22.0 software (International Business Machines Corporation, Armonk, New York, USA). Binary classification variables were analyzed using the chi-square test. The likelihood ratio χ2 value was used when the theoretical frequency was no less than 5; continuous correction formula was used if the theoretical frequency was between 1 and 5; while Fisher’s exact test was used if the theoretical frequency was less than 1. The null hypothesis was evaluated at α = 0.05. A total of 19 Acinetobacter species confirmed by sequencing are presented in Table 1, including 637 A. baumannii, 56 A. pittii, 23 A. johnsonii, 15 A. junii, 13 A. lwoffii, 8 A. ursinqii, 5 A. nosocomialis, 4 A. parvus, 2 A. calcoaceticus, 2 A. haemolyticus, 1 A. tjernbergiae, 1 A. schindleri, and 1 A. radioresistens that were contained in Biotyper 3.0 database, and 7 A. soli, 5 A. colistiniresistens, 4 A. bereziniae, 1 A. gyllenbergii, 1 A. seifertii, and 1 A. variabilis that were not contained in Biotyper 3.0 database. In addition, one novel species strain (temporarily named A. corallinus) was isolated and preliminarily certified by whole 16S rRNA gene sequencing, GenBank: KY828975. The identification results of Acinetobacter by MALDI-TOF MS are summarized in Table 1. Compared to sequencing, the total accuracy of MALDI-TOF MS identification for Acinetobacter was 97.08% (765/788), no matter if direct smear or bacterial extraction pretreatment was applied. Misidentification only occurred on 3 A. parvus strains and 20 strains of the species that were excluded from the database. Moreover, if the Acinetobacter species excluded from the Biotyper 3.0 database are ignored, the accuracy of identification by both direct smear and extraction pretreatment would be 99.61% (765/768). In addition, the proportions of strains with identification scores ≥ 2.000 using direct smear or bacterial extraction pretreatment were 86.04% (678/788) and 95.43% (752/788), χ2 = 41.336, P < 0.001. The accuracy of identification results with scores ≥ 2.000 using direct smear and extraction pretreatment were 99.85% (677/678) and 99.73% (750/752), respectively; while, the accuracy of identification results with score < 2.000 were only 80.0% (88/110) and 43.2% (15/36). It is worth noting that 1 A. seiferti strain was identified as A. baumannii with a score ≥ 2.000 using either pretreatment. Another A. colistiniresistens strain was identified as A. haemolyticus with a score ≥ 2.000 using bacterial extraction pretreatment. Representative mass spectra generated by extraction pretreatment of 20 Acinetobacter species are presented in Fig. 1. There were a large number of peaks with acceptable resolution and signal intensity in most of the strains’ mass spectra, and the peak distributions were obviously discrepant. The dendrograms based on the mass spectra and 16S rRNA genes are shown in Figs. 2 and 3. According to the mass spectral dendrogram, all of the 20 Acinetobacter species were discriminative, even for A. baumannii & A. junii, A. pittii & A. calcoaceticus, and A. nosocomialis & A. seifertii, which were very similar in 16S rRNA. Some of the Acinetobacter species are important pathogens relative to nosocomial infections, especially in China. However, they are always difficult to be accurately identified using traditional methods, due to not only the similarity of these species, but also the increasing rates at which uncommon species are isolated. Even though MALDI-TOF MS is an astonishing revolution for identification of microorganisms, the comprehensive identification capacity for Acinetobacter has hardly been reported, not to mention the effectiveness of direct smear pretreatment, which is all the rage in clinical laboratories these days. Because most of the researchers were focusing on the A. calcoaceticus-A. baumannii complex [2, 10, 12, 13], quite a few operators were confused by the dissatisfactory score (under 2.000) or mixtures of species with high scores (more than 2 species were over 2.000) when using MALDI-TOF MS to identify Acinetobacter isolates. In this study, 788 strains of 20 Acinetobacter species were collected to evaluate the accuracy of identification by MALDI-TOF MS, including 13 species that were available in Biotyper 3.0 database and 7 species that were unavailable. Both the numbers of species and strains reported here are larger than in the report published in 2016, by Jeong et al. . According to the results, MALDI-TOF MS was able to precisely identify more than 97% Acinetobacter strains in a clinical laboratory, even using direct smear pretreatment. In terms of the 12 species available in the Biotyper 3.0 database, the accuracy was 99.6%. It was similar to many other reports that the identification of A. baumannii-calcoaceticus complex using MALDI-TOF MS showed high accuracy [2, 10, 12, 13]. However, the accuracy of A. nosocomialis in this study was unexpectedly high compared to other reports [12, 13], probably due to the number of A. nosocomialis strains being only 5. On the other hand, failed identifications occurred occasionally. The factors were stated as following: (1) 20 strains were inaccurately identified due to inexistence of relevant reference spectra in the Biotyper 3.0 database. It was noteworthy that an A. gyllenbergii strain was even identified as A. baumannii by both two pretreatment methods with an identification score ≥ 2.000, and an A. colistiniresistens strain was identified as A. haemolyticus by bacterial extraction with an identification score ≥ 2.000. This fault was remarkable because A. colistiniresistens is intrinsically resistant to polymyxins, the misidentification would bring about the wrong remedy . (2) Three A. parvus strains failed to be identified correctly, because there was only 1 reference mass spectrum of A. parvus in the database. Pretreatment was always taken into account as a vital factor for MALDI-TOF MS identification, because it was strongly influenced by the extraction of ribosomal proteins, which was the main target of MALDI-TOF MS . Indeed, the proportion of strains with identification scores ≥ 2.000 using bacterial extraction was much higher than that of using a direct smear. However, the misidentification of 23 Acinetobacter strains in this study actually did not derive from failed extraction, because there were a large number of peaks with acceptable resolution and signal intensity in each of the strains’ mass spectra. Therefore, the abundance of reference mass spectra performed a pivotal function in accurate identification rather than extraction failure. What’s more, according to the dendrogram based on mass spectra, all of the 20 Acinetobacter species were discriminative, even towards A. baumannii & A. junii, A. pittii & A. calcoaceticus, and A. nosocomialis & A. seifertii, the majority of which belonged to A. baumannii-calcoaceticus complex. Hence, provided that we uploaded the mass spectra of absent species in the database according to the protocol, these species could be identified correctly next time . The identification of Acinetobacter species using MALDI-TOF MS was reliable in the clinical laboratory even pretreated by direct smear. Misidentification occurred occasionally due to the inexistence of reference mass spectra in the Biotyper 3.0 database rather than extraction failure. And we suggest that 16S rRNA genes or rpoB sequencing should be applied when the identification score is under 2.000 even using bacterial extraction pretreatment. Additionally, MALDI-TOF MS was taken into account as an efficient method for exploring novel species on condition that the database contains enough reference mass spectra from different species. This work is supported by the National Natural Science Foundation of China “Study about Infection Biomarkers of Acinetobacter baumannii based on omics” (Grant no. 81371861). This research did not require ethical approval. This research did not require informed consent.